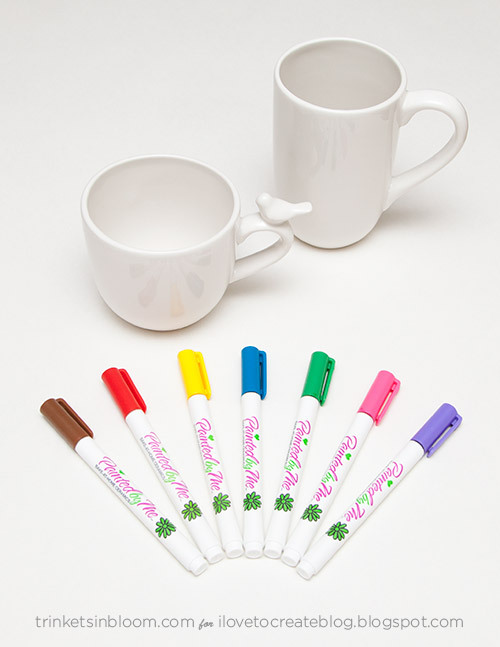 Create your perfect morning message on your coffee mug with these awesome Painted by Me food safe ceramic markers. 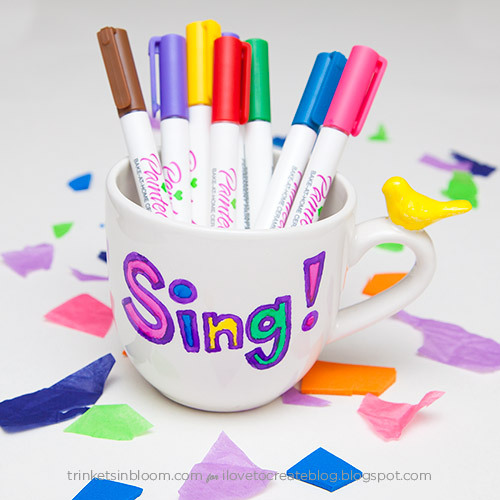 Unlike all those tutorials you’ve seen around the web using permanent markers on mugs, these markers will actually last and keep their strong bright colors for a long time, plus they are food safe! 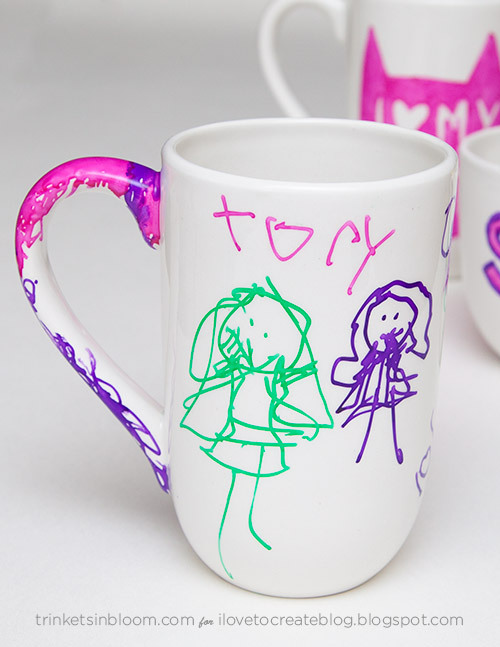 Perfect for anyone to use, they’re great for kids to create and personalize their own mugs to give as gifts or keep for themselves. 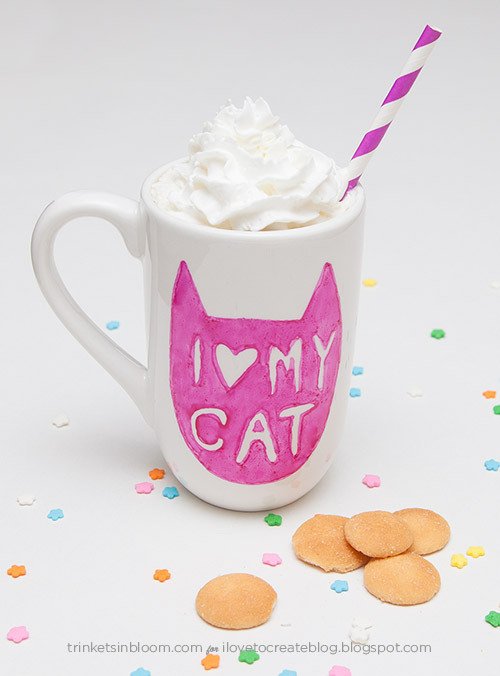 So look no further the perfect personalized gift is here! Keep reading to see how easy it is! 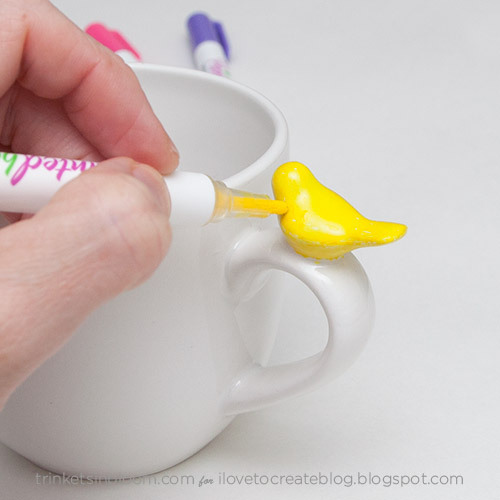 Wash your mug to create a clean surface to work on with no fingerprints. 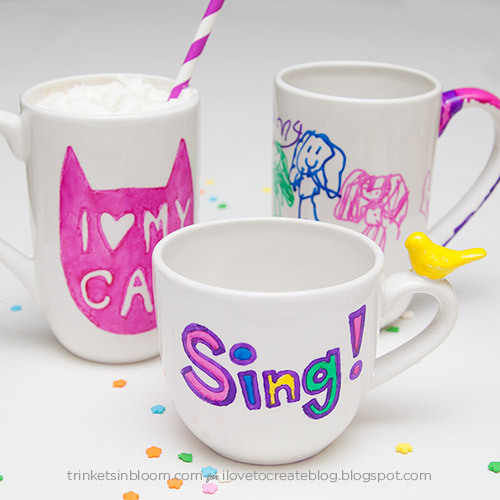 Draw your design right on your mug! You can use alcohol or window cleaner to wipe off any mistakes or designs you don’t like before you bake it. So don’t worry about mistakes! Put your mug in a cold oven and turn the heat on to 375 degrees. Let it bake for 40 minutes. After 40 minutes turn the oven off and let the mug cool down inside the oven before removing. When you mug has cooled take it out of the oven, wash it and enjoy! 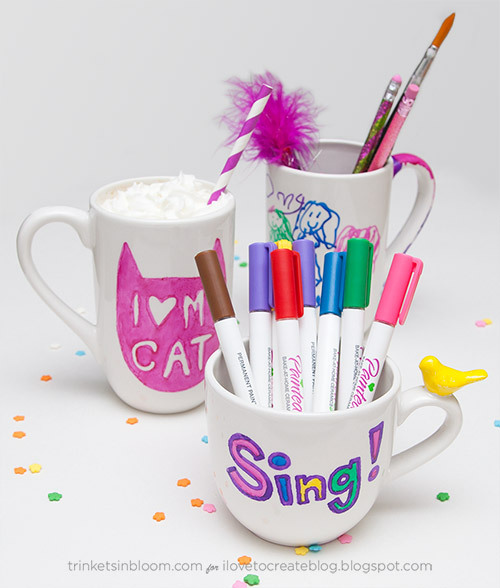 There are so many ways to personalize your mugs! With the holidays coming up a personalized mug would make a great gift. 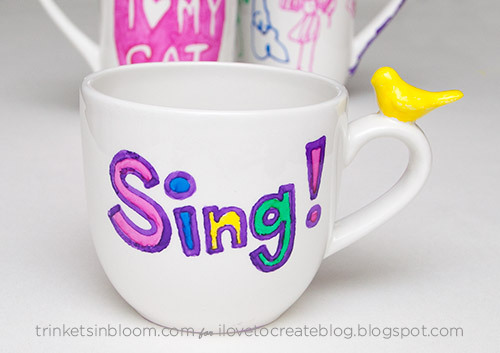 What kind of design will you put on your mug? 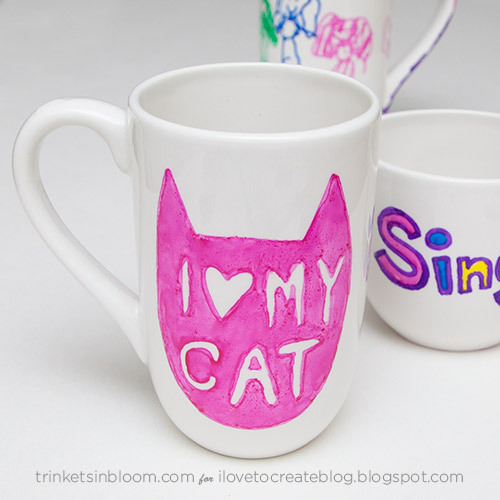 Be sure to check out my blog Trinkets in Bloom for more fun DIY projects! not a problem in a microwave over however you do need to make sure it is 'microwave safe' and be careful of plastic ones as not all plastic is suitable same applies to glass ones. Wow, I love your post with the creative idea. Give your website the boost you need. Biz Glide Web Solution is the Delhi’s number one SEO Services provider who is best known for ranking the website faster than ever. With latest 2019 SEO approach, you can easily climb your success stairs quicker than ever. Visit official Biz Glide Web Solutions website for more information about price and other services. Thanks for sharing this useful information with us. If you are a brand looking to get started with your business, a Phoenix Web Design Company can help you with the initial hassles of building a website. Nowadays, having a website is of utmost importance and making it look good and professional; essential to lure customers to your brand. These metallic green coffee cups are literally the best and are something which you should not miss out making a purchase for. In addition, these coffee mugs are an exclusive piece with key features that set it apart from the other.